We present a novel visualization concept for DNA origami structures that integrates a multitude of representations into a DimSUM. This novel abstraction map provides means to analyze, smoothly transition between, and interact with many visual representations of the DNA origami structures in an effective way that was not possible before. 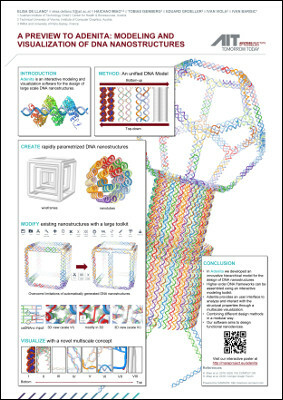 DNA origami structures are nanoscale objects, which are challenging to model in silico. In our holistic approach we seamlessly combine three-dimensional realistic shape models, two-dimensional diagrammatic representations, and ordered alignments in one-dimensional arrangements, with semantic transitions across many scales. To navigate through this large, two-dimensional abstraction map we highlight locations that users frequently visit for certain tasks and datasets. Particularly interesting viewpoints can be explicitly saved to optimize the workflow. We have developed DimSUM together with domain scientists specialized in DNA nanotechnology. In the paper we discuss our design decisions for both the visualization and the interaction techniques. We demonstrate two practical use cases in which our approach increases the specialists' understanding and improves their effectiveness in the analysis. Finally, we discuss the implications of our concept for the use of controlled abstraction in visualization in general. 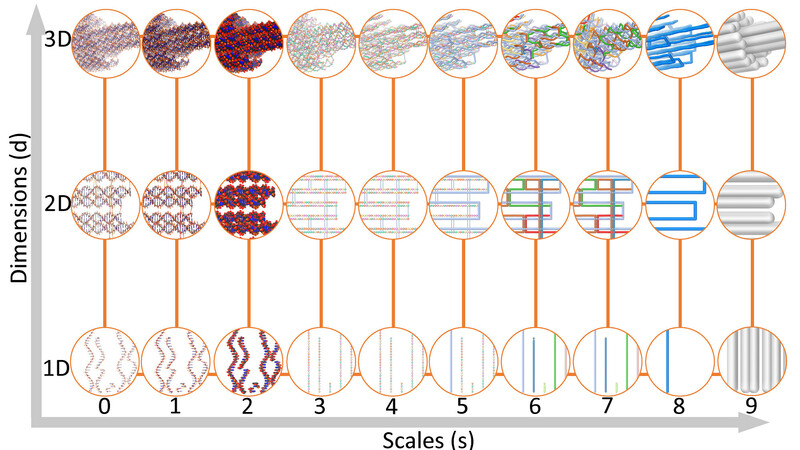 See our initial multi-scale DNA nanostructure visualization and our more general discussion of visual abstraction in (illustrative) visualization.